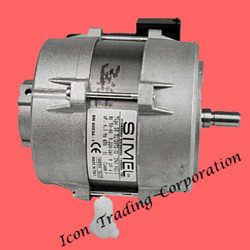 Icon Trading Corporation, Kolkata,India,Offering burners and Spare Parts like Baltur burner motor,bentone burner motor, riello burner motor, Weishaupt burner motor, Sookook burner motor, Fbr burner motor, Ecoflam burner motor, uni gas burner motor, flamco burner motor, olympia burner motors. Icon Trading Corporation, Kolkata,India,Offering Weishaupt burners and Spare Parts like Weishaupt burner diffuser plate, Weishaupt burner nozzle, Weishaupt burner photocell, Weishaupt burner UV cell, Weishaupt burner PE cell, Weishaupt burner solenoid valve, Weishaupt burner blast tube, Weishaupt burner nozzle pipe, Weishaupt burner pump, suntec oil pump, Weishaupt burner sequence controller, Weishaupt burner control box, Weishaupt burner motor , Weishaupt burner blower fan, Weishaupt burner hose pipe, Weishaupt burner ignition transformer, Weishaupt burner ignition electrode, Weishaupt gas burner dungs multiblock, Weishaupt burner nozzle holder, Weishaupt burner cable connector, Weishaupt burner servo motor, Weishaupt burner gas pressure switch, Weishaupt burner air pressure switch, Weishaupt burner solenoid valves. We have gained wide acceptance as prominent entity engaged in supplying and trading superb quality Weishaupt Burner Motors and Blower Wheels. Our offered motors are well appreciated in the market for their high performance output and compact design traits. We procure these products from trusted vendors who fabricates these blowers as per current industrial norms in varied specifications. Furthermore, we aim at supplying these motors at market leading rates for gathering vast clientele base. Icon Trading Corporation, Kolkata,India,Offering Sookook burners and Spare Parts like Sookook burner diffuser plate, Sookook burner nozzle, Sookoo kburner photocell, Sookookburner UV cell, Sookook burner PE cell, Sookoo kburner solenoid valve, Sookook burner blast tube, Sookook burner nozzle pipe, Sookook burner pump, suntec oil pump, Sookook burner sequence controller, Sookook burner control box, SOOKOOK Burner motor , Sookoo kburner blower fan, Sookook burner hose pipe, Sookook burner ignition transformer, Sookoo kburner ignition electrode, Sookook gas burner dungs multiblock, Sookook burner nozzle holder, Sookook burner cable connector, Sookook burner servo motor, Sookook burner gas pressure switch, Sookook burner air pressure switch, Sookook burner solenoid valves. 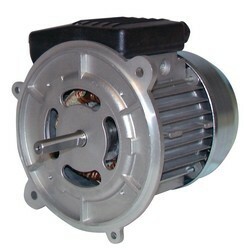 With the aid of modern infrastructure facility, we are offering wide gamut of Sookook Burner Motors and Blower Wheels. These motors have profound use for different burning processes in various industries, owing to their high efficiency and robust design. The procurement of these motors are done from trusted vendor sources, who manufactures these motors by utilizing high end technology and fine grade raw materials. 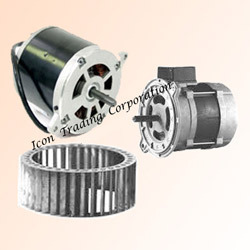 Moreover, we supply these motors in various designs for serving variegated demands of customers. With the help of advanced technology & skillful professionals we are one of the best manufacture & supplier of Baltur Burner Motor & Blower Wheels.The Motors we are offering are made with superior materials maintaining each & every features, keeping in mind the safety & others things. 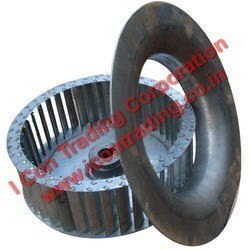 We offer those Burners Motors & Blower Wheels in most competitive price in the market. Our rich experience in automobile spare parts products helps us in providing high quality Ecoflam Burner Motors & Blower Wheels. Made from finest of raw materials, use of high technology and latest methods, these motor and wheels are extensively used by almost all automobile, thermal and chemical industries. Stringent quality tests and incomparable quality finish gives these products their dimensional accuracy and durability. These are very cost effective and longevity is very high. Icon Trading Corporation, Kolkata,India,Offering Ecoflame burners and Spare Parts like Ecoflame burner diffuser plate, Ecoflame burner nozzle, Ecoflame burner photocell, Ecoflame burner UV cell, Ecoflame burner PE cell, Ecoflame burner solenoid valve, Ecoflame burner blast tube, Ecoflame burner nozzle pipe, Ecoflame burner pump, suntec oil pump, Ecoflame burner sequence controller, Ecoflame burner control box, Ecoflame burner motor, Ecoflame burner blower fan, Ecoflame burner hose pipe, Ecoflame burner ignition transformer, Ecoflame burner ignition electrode, Ecoflame gas burner dungs multiblock, Ecoflame burner nozzle holder, Ecoflame burner cable connector, Ecoflame burner servo motor, Ecoflame burner gas pressure switch, Ecoflame burner air pressure switch, Ecoflame burner solenoid valves. Icon Trading Corporation, Kolkata, never compromise with the quality of any offered products. 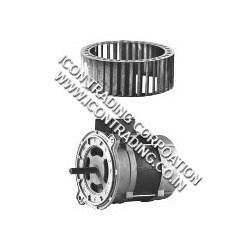 We offer all types of Benatone Burner Motor & Blower wheel in most combative market price. 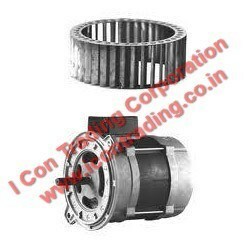 We are working as a leading Burner Motors & Blower Wheels supplier company across the east India.Those Burner & Motor Wheels are wildly used in automobile Engineering, Garments Industry, Themocol Industry etc. Icon Trading Corporation, Kolkata,India,Offering Baltur burners and Spare Parts like Baltur burner diffuser plate, Baltur burner nozzle, Baltur burner photocell, Baltur burner UV cell, Baltur burner PE cell, Baltur burner solenoid valve, Baltur burner blast tube, Baltur burner nozzle pipe, Baltur burner pump, suntec oil pump, Baltur burner sequence controller, Baltur burner control box, Baltur burner motor , Baltur burner blower fan, Baltur burner hose pipe, Baltur burner ignition transformer, Baltur burner ignition electrode, Baltur gas burner dungs multiblock, Baltur burner nozzle holder, Baltur burner cable connector, Baltur burner servo motor, Baltur burner gas pressure switch, Baltur burner air pressure switch, Baltur burner solenoid valves. Icon Trading Corporation, Kolkata,India,Offering Fbr burners and Spare Parts like Fbr burner diffuser plate, Fbr burner nozzle, Fbr burner photocell, Fbr burner UV cell, Fbr burner PE cell, Fbr burner solenoid valve, Fbr burner blast tube, Fbr burner nozzle pipe, Fbr burner pump, suntec oil pump, Fbr burner sequence controller, Fbr burner control box, Fbr burner motor, Fbr burner blower fan, Fbr burner hose pipe, Fbr burner ignition transformer, Fbr burner ignition electrode, Fbr gas burner dungs multiblock, Fbr burner nozzle holder, Fbr burner cable connector, Fbr burner servo motor, Fbr burner gas pressure switch, Fbr burner air pressure switch, Fbr burner solenoid valves. 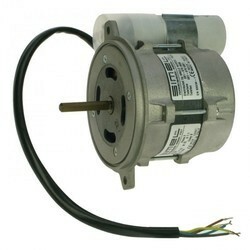 Looking for Burner Motors ?